Depression is characterized by withdrawal, inactivity, dullness, and feelings of helplessness. You may not realize it, but bouts of depression and “clinical” depression feel the same and are only differentiated by the amount of days a person is depressed. Clinical depression is typically diagnosed when feelings persist daily for at least two weeks. Depression affects how you perceive the world and can lead to a self-perpetuating cycle that is difficult to escape from. It is estimated that over 12% of all adults in America suffers from depression, according to Web MD. Of those that are depressed, women are 70 percent more likely to be affected at some point in their lives than men, according to the National Institute of Mental Health. The good news is that recent studies have shown that taking regular brisk walks or other forms of exercise can be an effective intervention. One study from the University of Stirling sampled 341 patients. 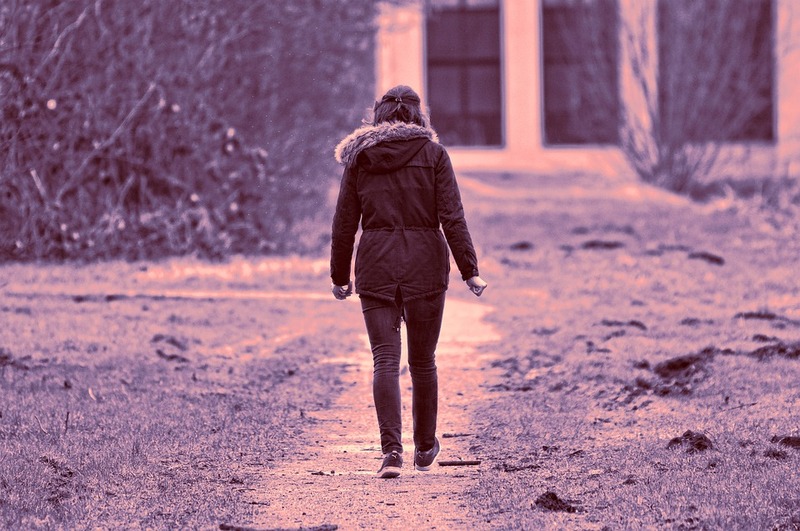 It was found that “walking has a statistically significant, large effect on the symptoms of depression.” Walking has always been encouraged for physical health, but only now we are seeing there is a mental health component as well. Studies have also noted that while walking solo has benefits, those benefits can be magnified when walking with others, which makes sense when you consider that you can talk through problems or just enjoy someone’s company as you walk. In a University of Wisconsin study, exercise seemed to be as effective as psycho­therapy for relieving moderate depression symptoms. They tested two groups of adults with depression, one group that was assigned only exercise and one group that received only psychotherapy. After one year, a staggering 90 percent of the people who exercised were no longer depressed, when compared to only 50 percent of the psychotherapy group who needed additional treatment. Following an exercise program, including walking, can give people a sense of self-reliance and control because they are doing something for themselves, without outside intervention. Exercise also releases endorphins into the brain, which produce feelings of happiness and well-being. These are powerful reasons why exercise may be the best medicine for depression.